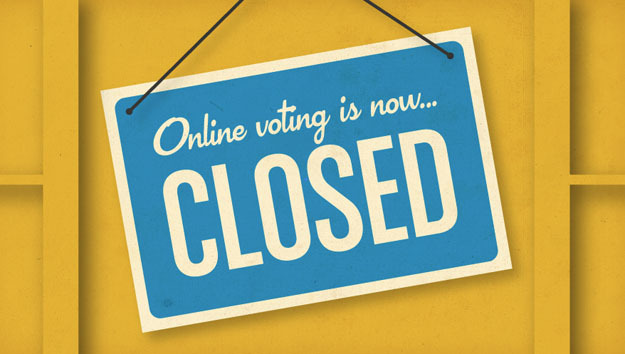 When Online Voting Competitions Go Wrong (Reprise) – the ajayi effect. From these campaigns, I also know that they are highly scrutinized by those in the non profit marketing industry. Pepsi Refresh and Chase Community with all of their glitz and hype were perfect examples. I’ll never forget this infamous post from Beth Kanter which spells it out clearly. So you would think that with all that I know about these types of contests, I would have been prepared for what lie ahead with me at the helm of one. Instead, I fell victim to some of the very lessons that I’ve been taught to avoid. The premise of Starbuck’s Vote Give Grow campaign seemed simple enough: four non-profit organizations within a region rustle up votes via the Starbucks website over the course of four weeks and the one with the most votes wins 45K at the end of it all. The second place winner gets 25K and third and fourth each take 15K a piece. Let me stop here to say that I LOVE the Starbucks brand. Specifically, their CSR model is one of the most solid that I know with regards to making a difference here in the US against issues that affect us in real-time. Job creation is a major one. Also, they ‘get’ that one of the best volunteer models to assist a non profit is that of skills-based volunteering. But all that aside, this campaign was one of the toughest that I have run in my social media and marketing career. Despite the inevitable red flags, I built a four-week comprehensive marketing plan with gusto. I mean, it was Starbucks! I had to go hard or go home. The first issue was the high barrier point of entry for the campaign. In order to vote, you had to have a registered Starbucks card. Initial testing quickly demonstrated that the majority of the market didn’t have a Starbucks card and no amount of Tweeting or Facebook-ing would get those who didn’t have one to get one simply to vote. And so, I knew that I had to tie in the cards that we had been given as part of our non profit community store pilot program as incentive. This worked – sorta. Only when I planned in-store activation events did the cards move at the speed of light. Then, I was assisted by my buddy who is a social media genius and has a following of over 35K individuals on just one of his Facebook profiles. He helped me promote. Then there was the math. After close observation, I was able to discern how many votes (23) it took to move up a mere percentage point and then how many new votes we’d need (190) in the final week to win. All this while planning the marketing for a large annual fundraiser, regional children’s science and technology fair and press conference. By this point, I won’t lie, the gusto was waning. In the end, it was down to the wire as I rallied votes into the wee hours of the morning of April 1. Me and the second place organization might as well have been at the O.K. Corral. They went up by one percent, we went up by one percent. Then we tied. It was intense. In the end, my organization fell to third place by just 1-percentage point. We had over 50 people who still wanted to vote but we’d run out of cards. It all came down to the dang cards – again. Ask yourself and leadership team if it makes sense to participate – Do you have the time and the resources it will take to throw yourself 100-percent into an online competition? You can’t do it alone – Who are your champions outside of your organization that have a massive following and are willing to promote on your behalf? Look hard at what’s in it for you (beyond the cash) and pursue that relentlessly– At the top, my goal was to come in second place. But more than that, I looked at the contest as an opportunity to refresh our organization’s Constant Contact list and gain brand awareness. At the end of it all, I added over 300 new names to our list in a matter of 4 weeks. Learn the entire time and be ready to report the insights – Throughout the competition, I was taking relentless notes about how we were interacting with the public, what they knew about our partnership with Starbucks (and didn’t) and making recommendations on the fly. These insights are invaluable as the organization builds a communications plan. So, would I ever compete in one of these types of competitions again? The verdict is still out on that one. I will say that if I do, the approach will be different. I mean, in the end, everybody wins, right? Ericsson Gets Me to Ask: How Come?